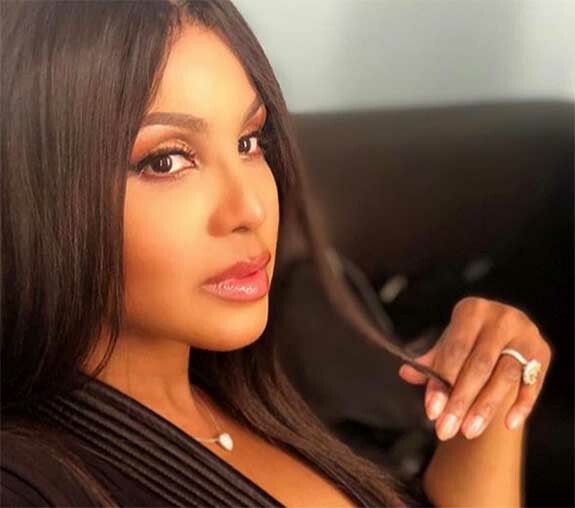 Singer Toni Braxton is hoping that one of her 2.8 million Instagram followers knows the whereabouts of "Bonnie," the Grammy-award winner's $5 million, 10-carat canary yellow diamond engagement ring. Bonnie was lost last week on a cross-country Delta flight from JFK in New York to LAX in Los Angeles. The 51-year-old singer had packed the cushion-cut diamond ring and other valuable jewels in a Louis Vuitton train case and placed it in the overhead bin. Unfortunately, she forgot to remove it when she deplaned. Delta was able to reunite Braxton with her bag, but most of the jewelry inside was missing. On Twitter, she wrote, "Hey everyone, @delta located my LV Train Case! Yay! Unfortunately most of my jewelry items are missing...including MY ENGAGEMENT RING! Whoever BORROWED it... PLEEEASE return it!!!! I promise, no questions asked! So far, nobody has come forward with the halo-style ring that she received last January from rapper Birdman, aka Bryan Christopher Williams. Back on October 5, the “Un-Break My Heart” singer posted an Instagram selfie, in which Bonnie the engagement ring is clearly visible. In the post, she told her fans that she was heading out of town to celebrate her birthday "all weekend long!" It's fair to assume that Bonnie made that trip, as well, and she was properly secured on the performer's finger or in her carry-on bag.